As cranial osteopath we work with the entire cranium and may therefore also have a positive impact on various eye disorders. We are trained and know a subtle and rhythmic change in forms that appear in the body. This is called "involuntary motion" or involuntary movement, ie a movement which is where we were from fetuses. The skull is composed of 26 bones which are very modest assembled with small joints. Under this rhythmic shape change shifts skull shape gets and could accommodate the involuntary movement that occurs with the skull and brain. This rhythm is not just the skull but in the whole body, and is an essential part of our body's ability and stay healthy and recover from injuries or stresses. Any form of body can block or reduce this rhythm. This can lead to a wide range of diverse issues both in the head and the rest of kroppen.Ved and communicate with this "involuntary motion" in the different tissues of the body, an osteopath know if the body is in optimal health or if there are any that prevents this rhythmic movement and reach throughout the body. 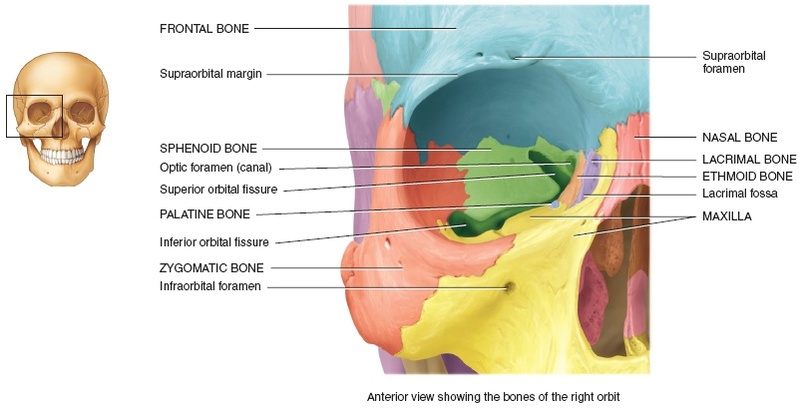 Eye socket (legs sitting around the eye apple) is composed of 7 of the skull bones and that drainage from the eye to function optimally, you need all those legs could move together. When this function properly then it becomes a very good vascular exchange which nourishes all the structure surrounding the eye and do. On these legs sitting also stick to the 12 muscles that enable us to move eye apple. Eye is an extension of the brain. The membrane that sits around the nervous system also sits around the optic nerve and mixed with the sclera in the eye. As in the rest of the body can sit much tension and stress here that can have a major influence on the function of the eye and the structures around. Pressure on the involved nerves in the visual pathways may affect the ability to see properly. There may also be coordination problems become aware if a weak pressure on the areas of the brain that controls the eye muscles. Headache and trauma to the skull will affect the cranium legs and membranes that may have a direct effect on the optic nerve and the eyeball. The principles behind osteopathy is to restore balance in the body. A good health is not merely the absence of disease or pain, it is a state of balance and harmony between body and mind. So by and restore balance in and around the eyes will be on and reduce the physical strain on the head, neck, shoulders, back and indeed the whole body. So through osteopathic treatment will help solve the chronic tension in the body. Maria is originally educated in England at the European School of Osteopathy, with a Bachelor of Science Honours Degree in osteopathy. She worked then as an osteopath in a number of clinics in England, before she started her own clinic (Clapham Osteopathic Practice) with his partner in London. In the study conducted Maria eight years of training in cranial, biodynamic, pediatric and obstetric osteopathy in England, Switzerland and America. Maria specializes in treating children, newborns, pregnant (gestational and postpartum) and individuals with complex chronic conditions. She also treats patients with digestive problems, sports injuries, headaches and stress related problems. The way Sonberg working on involves a subtle but effective treatment of the body as a whole. The goal is to get to the core of the problem. Maria has a previous degree in physical therapy from Fontys Hogenscholen in Eindhoven in the Netherlands. She also has a Postgraduate Diploma in dyreosteopati, and specializes in the treatment of dogs, cats and horses. Maria has published an article in The British Journal of Osteopathic Medicine and the German Osteopathische Medizin: "Can Osteopathy help women with a history of hypothyroidism and musculoskeletal complaints?" She is an international assistant at the European School of Osteopathy and member of the Sutherland Cranial College of Osteopathy. She is registered with the General Osteopathic Council in the UK and is a member of the British Osteopathic Association and Norwegian Osteopaths Association.